Postcards were to the people in 1900 what the Internet was to the world in 2000. Postcards can be thought of as the world’s first mass transfusion of images. e world went from thousand to a billion postcards in a very short span of time, and the best painters from India, Austria, and Japan got involved. 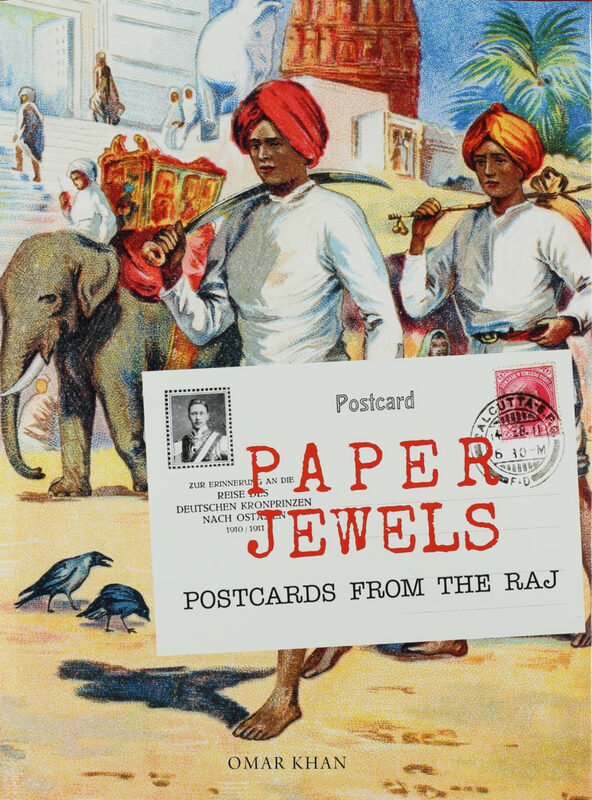 Paper Jewels is the story of postcards during the Raj, and covers India, Pakistan, Sri Lanka and Burma. The first book on this subject, it is also the first to show hundreds of professionally restored images in original format. e volume uncovers such gems as the early postcards of the great Indian painter M V Dhurandhar and the Ravi Varma Press, the exceptional work of an early Austrian lithographer in Kolkata or a German one in Mumbai. The essays cover the major cities and regions important to postcard publishing and the key themes—from religion to dancers, to tea, soap, famines, fakirs, humour, and warfare. The volume displays the most beautiful and popular postcards, telling the stories of the first postcard publishers in the subcontinent between 1892 and 1947. Many of the images in the book have never been published since their first runs a century ago. Paper Jewels relies almost entirely on primary research in archives and private collections in India, Europe and America done over a period of twenty years, and much of the story is entirely new.